Tucker Mountain Lodge are newer ski condos in Copper Mountain Real Estate. 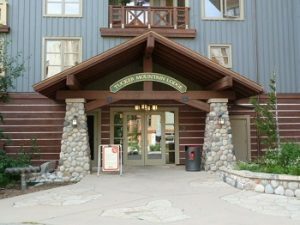 Located in the Center Village just behind Copper One Lodge, Tucker Mountain Lodge is steps to the American Eagle and American Flyer ski lifts. Built in 1999 there are 86 units comprised of 11 – studios, 33 – one bedrooms and 42 – two bedrooms. Some of the one bedrooms have dens and a few of the two bedrooms have lock-off capabilities. Condos at Tucker Mountain Lodge each have a deck with ski area or mountain views. Besides being centrally located in Copper Mountain, Tucker Mountain Lodge offers owners and guests an underground heated garage, fitness room, steam room, lobby area, hot tub and elevator. Copper Mountain condos that are located in the Center Village are steps from not only skiing but also an array of shops, restaurants and bars. Tucker Mountain Lodge is also near West Lake where you can feel the rush of the Alpine Rush Zip line, ice skating in the winter and paddle boating in the summer. When you purchase a condo in Center Village, a 1.5% transfer tax is assessed on the purchase price. There are also monthly dues which include most utilities and a resort/neighborhood fee. All condos currently for sale in Tucker Mountain Lodge are listed below. For additional information on monthly dues, rental income, questions about Copper Mountain CO Real Estate in general or to arrange a time to view properties in Copper Mountain call us at 970.333.9050 or inquire online.